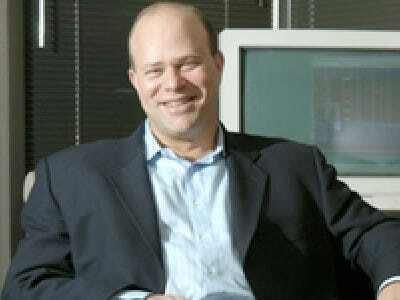 David Tepper’s Appaloosa fund’s amazing returns last year brought him into the limelight. Now the SEC is looking into the billionaire hedge fund manager’s trading activity back in 2008, when he first got into financials – the trade that would eventually make him $7 billion in 2009. The U.S. Securities and Exchange Commission (SEC) has scanned the trades made by Appaloosa, a $13 billion hedge fund, when Wells Fargo & Co agreed to buy Wachovia Corp in 2008, the Journal said citing people familiar with the matter. Here’s what they’re taking a look at. Tepper’s two funds, Appaloosa Investment and the Palomino fund, were each down about 24 per cent through September 2008. In the first half of 2008, Tepper was heavy into oil and he took a hit. He had nothing in financials until the third quarter 2008, when he went in huge. Tepper reported taking up a huge stake in Wells Fargo in the third quarter for 2008. It was his biggest stake at the time and he invested over $200 million in bonds and preferred shares issued by Wachovia Corp.
After Wachovia agreed to be bought by Wells Fargo & Co., the securities soared, the Wachovia preferreds doubled in price. All we know is that the SEC looked at this trade.